A friend gifted me one of these little devices and it quickly superseded all other ways of sending content to my flat screen TV. The Chromecast is and Android device that plugs directly into the HDMI port on your TV and into a USB port or wall outlet for power. After a short setup, content can be sent from your computer or mobile device and "handed off" to the Chromecast for display. While Google has promised an entire collection of apps that can see and utilize the Chromecast, currently 4 apps support it -- YouTube, Netflix, Hulu+ and Pandora. Since my video watching consists almost entirely of YouTube and Netflix, the Chromecast is a great product for me. I can easily select my list of YouTube subscription on my phone and start watching them almost immediately. I can select items one-by-one or queue them up for continuous watching. Viewing Netflix is just as easy -- selecting from my list of preselected items, or the next episode of a particular show. Within seconds, I am watching. A slightly more geeky function is the ability to stream any tab in a Chrome browser to the Chromecast, too. I have used this to display weather, Twitter streams, live video stream only available on the web and other content. You can install multiple Chromecast throughout your home and then send video to whichever you wish. 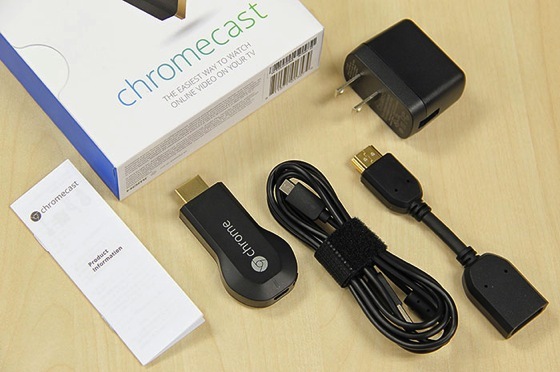 At $35, the Google Chromecast is an amazing product at a great price.